You don't just want a publisher, you want a partner who understands development and can provide a bespoke solution to maximise the potential of your game. Show us your game, either in video form or with a hands on. We'll let you know straight away if we think it's a good fit for our us, so we can ensure we give your game the attention it deserves. We sign a mutual NDA, you send us a build, and we produce a, comprehensive, no-obligation feedback document. This is a completely FREE service with no strings attached! If we work well together and are on the same page, we'll agree a bespoke partnership deal for your game. If not, no problem. We wish you the best of luck and the feedback is yours to keep. 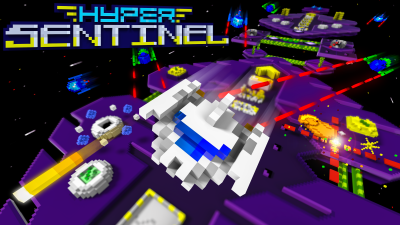 Hyper Sentinel - Coming Soon! We are partnering with indie developer Four5Six Pixel to bring Hyper Sentinel to PC, PS4, Xbox One, Nintendo Switch and mobile platforms. Get the demo at www.hypersentinel.com . We'd love to hear about your game and your partnership needs.